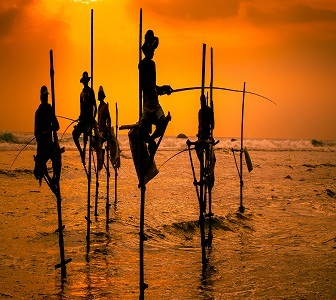 With the traditional welcome our Tour guide meets you on arrival in Sri Lanka at the International Airport . Our guide will then drive you to your accommodation in Kandy- Enroute visit pinnawala elephant orphanage and proceed the journey. Evening visit Temple of the Tooth Relic and later witness a cultural dance show. Overnight stay at hotel. After breakfast day excursion to Sigiriya- climb the Sigiriya rock fortress (5thc.A.D). An impressive rock fortress, a royal citadel of a king for 18 years. Apart from the great rock, the surroundings, just gets you so green, so serene, and peaceful. Exciting climb to the summit to the site of the palace which commands magnificent view of the royal water gardens, on par with the best in the ancient world. Then return to Kandy- Visit the Dambulla Cave temples the largest and best-preserved cave temple complex in Sri Lanka, with murals and statues of the Buddha the largest number found in one place. Overnight stay at hotel. Breakfast at hotel and morning Kandy city tour. Visit the Kandy markets and gem museums and famous Royal Botanic Gardens at Peradeniya .Afterwards leave for Nuwara Eliya. enroute visit Ramboda waterfalls and Tea factory - learn all about tea, a most magnificent drink. Learn how it is grown, plucked and refined plus the fine art of tea making. Late afternoon visit Nuwara Eliya town, nostalgia of the British empire builders is reflected in Nuwara Eliya - buildings, gardens, landscaping, names etc. Overnight stay at hotel. After breakfast city tour in Nuwara eliya and visit the amman temple and leave for Bentota - en route sightseeing and sceneries .Evening relax at beach or OPTIONAL VISIT -Evening visit Galle a 17th century Dutch fortified city with a natural harbor exuding old-world charm especially inside the old Dutch fort – a UNESCO heritage site. Back to hotel. Overnight stay at Bentota. Morning Enjoy a boat ride through mangrove forests to a cinnamon plantation at Madu river and visit the Turtle Hatchery in Kosgoda where turtle eggs are collected, hatched, baby turtles nurtured, numbered and released to the sea. Later, visit a mask factory. Overnight stay. After breakfast leave for Colombo. Evening City tour -You can see the remnants of the Moorish, Portuguese, Dutch and British settlement throughout the city tour. 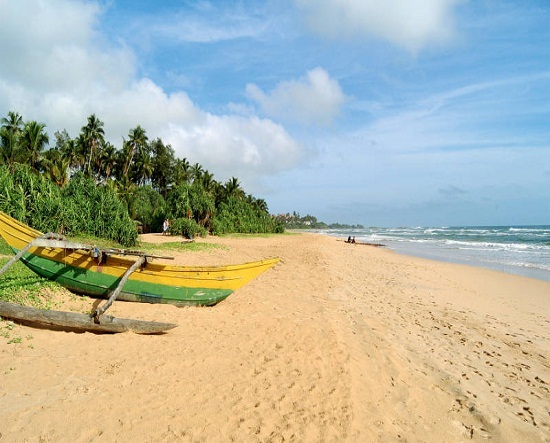 Discover local art galleries and maybe a visit to Galle face green and walk around and street food market. Visit shopping malls area for shopping. Overnight stay at hotel. After breakfast transfer to the airport with wonderful memories. the arrival-departure of international flights into and from Colombo. 4. Discount voucher to shop at ODEL dress boutique in Colombo. 6. 20% Discount voucher to shop at silk. 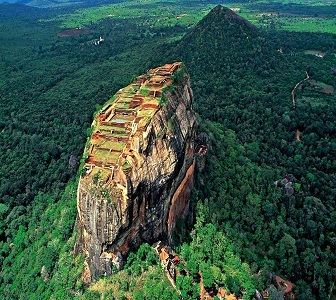 Impressive rock fortress, a royal citadel of a king for 18 years. Apart from the great rock, the surroundings, just gets you so green, so serene, and peaceful. Visit the Kandy markets and gem museums and famous Royal Botanic Gardens at Peradeniya. Morning Enjoy a boat ride through mangrove forests to a cinnamon plantation at Madu river. 1. Accommodation in above mentioned hotels with Daily Breakfast & Dinner. 2. Meals starting with 01 Day dinner and 07 Day ending with breakfast. 3. Private air-conditioned Coach with English speaking guide. 4. All Transfers ,Sightseeing tours, Airport pickup and drop. 1. Any expenses of personal nature. Banana boat, Donut Ride, Jet Ski , Cost per person USD 30 for this group only.